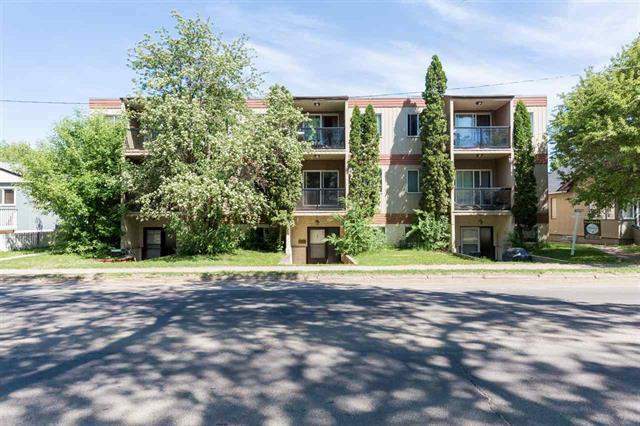 Located in Queen Alexandra, this updated condo is sure to impress! Close to the University of Alberta, Strathcona High School and historic Whyte Avenue, this is the ultimate convenient location! Plus transit is easily accessible and the commute to the Downtown Core is just minutes! Inside the unit you'll find stunning laminate flooring, large windows and tons of space! The kitchen is gorgeous! White cabinetry, stainless steel appliances including full size fridge, stove and dishwasher and a small island means you'll fall in love with this functional and spacious kitchen! The open concept layout places the kitchen, dining area and living room in one large space, making it ideal for entertaining or just relaxing! A spacious bedroom with lots of closet space, a full bathroom and in-suite stacked laundry complete this wonderful unit. Rent includes Heat, Water and access to one Outdoor Parking Stall.